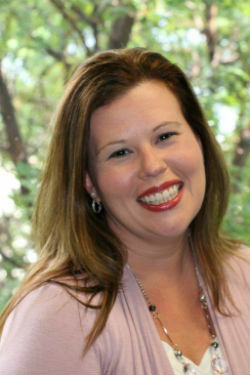 PUEBLO - After a national search, CSU-Pueblo Director of Admissions Chrissy Holliday was selected as the new Vice President of Enrollment Management and Student Affairs (VPEMSA). She will begin her new post on Monday, July 25. The VPEMSA reports directly to the President and will provide assistance, counsel, and support to the President as a member of the President's Cabinet and University Leadership Team. The Vice President provides oversight and management of the division of Enrollment Management and Student Affairs, including development and implementation of enrollment goals. The VPEMSA will provide oversight and direction for the offices of admissions, financial aid, the center for academic enrichment, registrar, alumni relations, external affairs, college opportunity/TRiO programs, the center for international programs, and career services. In addition, the VPEMSA works collaboratively with and oversees the Dean of Students and those offices reporting directly to the Dean of Students, including housing and residence life, student conduct, recreation center, counseling, student health center, health education and prevention, and student activities. Holliday has served as Director of Admissions at CSU-Pueblo since 2014, overseeing all recruiting and admissions efforts, including creation and implementation of long-term strategies and communication plans for the campus. In her time here, she has led implementation of a new enrollment deposit, development of a Virtual Tour, and management of the partnership with Royall and Company for search, inquiry, and application generation. From 2012-14, she was a senior CRM manager for SEM Works, a company that serves higher education clients through consulting, research, CRM services, and professional development. Prior to that, she was director of enrollment management and grant writer for the University of South Carolina Salkehatchie. Holliday earned a bachelor's degree in mass communications from Campbell University (N.C.), a master's degree in enrollment management from Capella University, and is pursuing a doctoral degree in higher education leadership from CSU Fort Collins.